With more customers moving towards a cloud based IT investment strategy for their HCM solution the need to integrate with their existing OnPremise setup and other 3rd party systems is on the rise. Large companies generally move towards a Cloud HCM investment like SuccessFactors in a phased manner. The phased approach is generally in two dimensions the first one being the solution dimension where only certain processes are first moved to the cloud example Performance Management or Compensation Management or Recruiting and later on the other core processes of the company follow. The second dimension is location wise where HCM Business processes in select set of locations are moved first before the rest of the larger regions follow. Company manages its Core Employee Management in SuccessFactors (Employee Central) whereas payroll is managed using the On-Premise SAP ERP HCM Payroll. Company manages its Employee Management in On-Premise using the On-Premise SAP ERP HCM system whereas Performance management is done using the SuccessFactors BizX suite. Company does Recruitment using the SuccessFactors BizX suite whereas core employee management is done using On-Premise SAP ERP HCM. Company manages its Core Employee Management in SuccessFactors (Employee Central) whereas Travel management and Financials is On-Premise SAP ERP FIN. Company manages its Core Employee Management in SuccessFactors (Employee Central) whereas Benefits management is provided by 3rd party vendors. Company does Recruitment using the SuccessFactors BizX suite whereas assessment of candidates is done by 3rd party vendors. 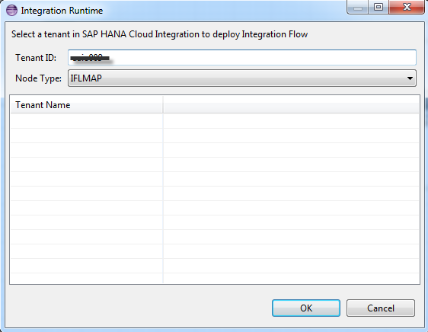 SAP HANA Cloud Integration (SAP HCI) is SAP’s strategic integration platform for SAP Cloud Customers. It provides out-of-the-box connectivity across cloud and on-premise solutions. Starting January 2014, you have the possibility to connect to the SuccessFactors Cloud system using the SuccessFactors Application Adapter. 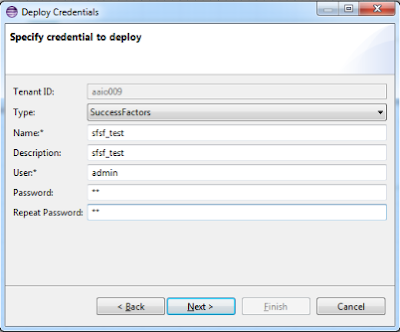 For integration developers who have used HCI to connect to SuccessFactors systems earlier what this means is that you no longer have to worry about the Login/Logout or API semantics of SuccessFactors as all of this is now taken care of by the Adapter internally. Connecting to a SuccessFactors system is now as easy as providing the system credentials, choosing the entity and deciding on the process flow and mapping. If you would like to get an early access to using SAP HCI via the Trial Landscape visit the blog SAP HANA Cloud Integration - Test and learn more about SAP’s cloud based integration solution to know more. You can use the SuccessFactors Adapter even via the trail landscape. Login, Logout, Session Handling - The Integration developer need not create separate flow steps and manage the Login/Logout calls. Adapter internally handles Login, SessionID management and Logout when connecting to the SuccessFactors system. SFQL Modeling support – With the Operations Modeler a step by step guided UI is available using which the Successfactors Query Language (SFQL) can be modeled. 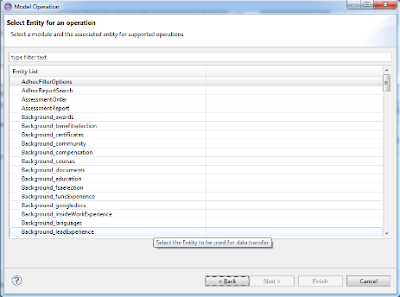 The Operations Modeler ensures that the SFQL generated is as per the semantics required by SuccessFactors system. The Modeler ensures the user is presented with the required fields and operations based on the Entity being selected. Example in case of Insert operation the required fields are automatically populated; In case of Query only queryable fields are shown; the Modeler shows up only the supported operations for an Entity, example in case an Entity does not support Upsert this is not shown up in the Modeler. The Operation Modeler ensures that the Integration developer only specifies the correct SFQL. Query, Insert, Upsert, Update – The Adapter supports all the standard operations of SFAPI. Simple, Compound API support – With the Operations Modeler one can configure both the Simple as well as Compound SuccessFactors API. 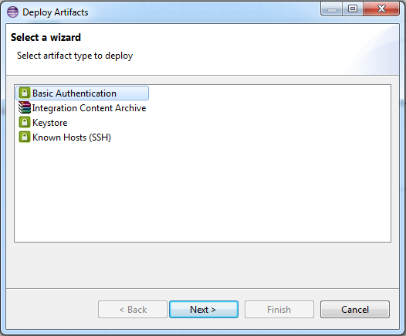 The Adapter allows calling of both these types of API. Auto XSD generation for mapping – When SFQL is modeled using the Operations Modeler the XSD (data format in which the messages are exchanged with the SuccessFactors system) is automatically generated which can be used in Message Mapping. Delta sync to fetch only changed records – There is no need to explicitly create logic to fetch changed records after a previous run. This is specifically required when SuccessFactors is used in polling scenarios and it is required to fetch only changed records in subsequent runs. To enable this Delta Sync option has to be included as a parameter on the query. The Operations Modeler enables inclusion of this parameter in an easy manner. 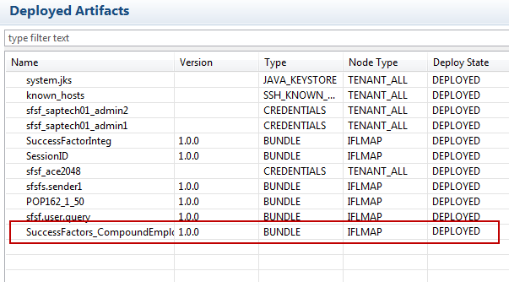 Dynamically pass values to SFQL Query – It is possible to dynamically pass values to the SFQL based on the input payload. Example if you have an existing message payload in your message bus and you would like to use this in your SFQL query filter condition you could do so by specifying the XPATH from where the content can be read. 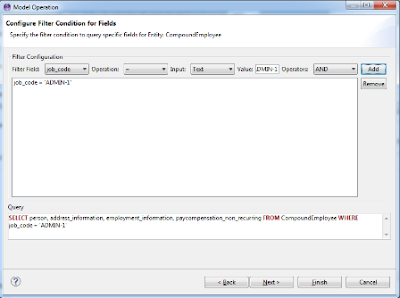 The Operations Modeler enables inclusion of this parameter in an easy manner. Multiple SFSF calls and merge payload –In case you have a requirement to make separate calls to different Entities in the SuccessFactors system and merge the payload you can use the SuccessFactors Adapter with the Content Enricher step. By using the multi-mapping (Multiple source XSD to one destination XSD) capability you can merge the payload to a single structure if required. The support for oDATA Entities that was released in SuccessFactors release 1311 and Ad-Hoc Query support is under development in HCI at the time of writing of this document (Jan 2014). You can expect this functionality soon. Use the SuccessFactors Adapter as a Sender Channel when you would like to poll the SuccessFactors system at regular intervals and Query data from the system. When using the SuccessFactors Adapter as a Sender channel only Query operation is available and you also have an option to configure the schedules during which data has to fetched from the SuccessFactors system. 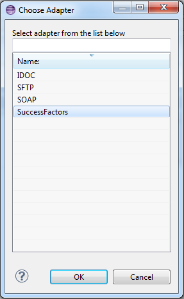 Use the SuceessFactors Adapter as a Receiver channel when you would like to query or update data into the SuccessFactors system not at a specified intervals but rather on completion of other integration flow steps in the iFlow. 1. Call Type currently is defaulted to Synchronous (as of Jan 2014). 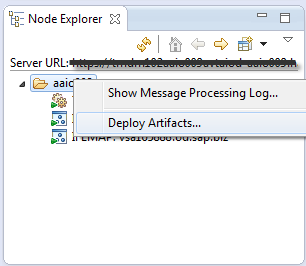 This will be enhanced with Ad-Hoc option when the capability is made available in the SuccessFactors Adapter. 2. Operation Name consists of Entity, Operation and Query/Fields. 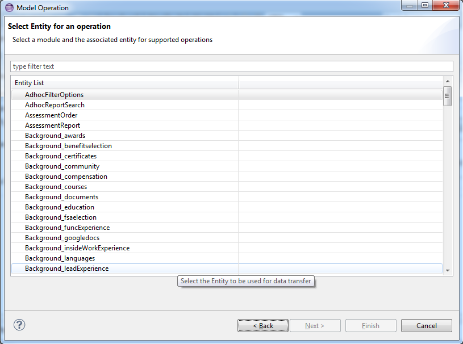 You can configure this using the Operations Modeler. 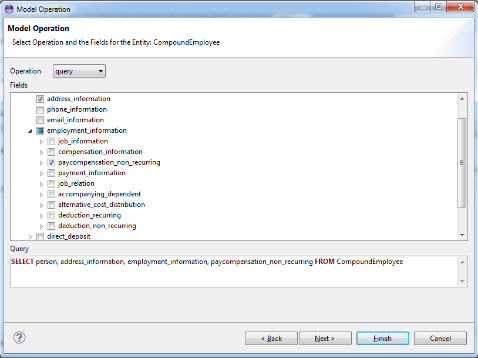 This should confirm to the format in which the SuccessFactors system can execute the required Entity. 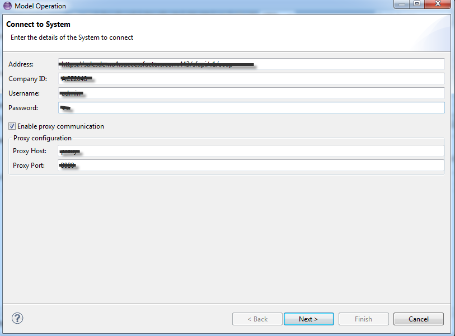 When using the SuccessFactors Adapter as a Sender Channel as in this example only the Query option is available. This is because you would be using the SuccessFactors Adpater in the Sender Channel when you would like to query data at a specified time or regular intervals. 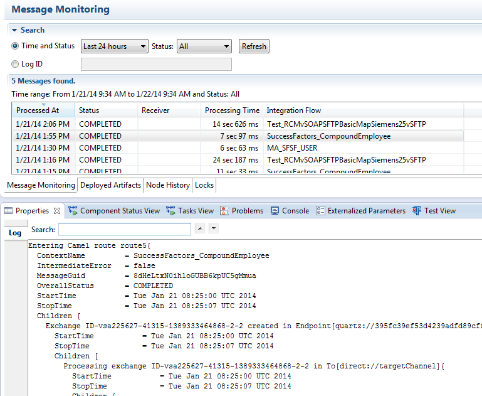 In all the other cases you would want to use the SuccessFactors Adapter as a Receiver channel. All supported options for a selected Entity is available when using the SuccessFactors Adapter as a Receiver Channel. Only those Operations and fields are shown in the Operations Modeler that are exposed by the SuccessFactors system as returned by the SuccessFactors Describe API. Also Note when using the Adapter for Operations like Insert, Update or Upsert certain fields are prefilled which are mandatory for the API to work. Specify the filter condition using which you would like to restrict the Query Result. This option is available only in case of Query Operation. Note: You have an option to specify the value as an Xpath. This would be useful when using the SuccessFactors Adapter as a Receiver Channel and you would like the value in the Query to be extracted from the payload available in the message bus. You can also specify a DateTime filed like last_modified_on as a Delta Sync operation in which case if the iFlow is scheduled to run at regular intervals only the changed records are fetched in subsequent runs. Configuring Sorting Criteria. This option is available only in case of Query Operation. 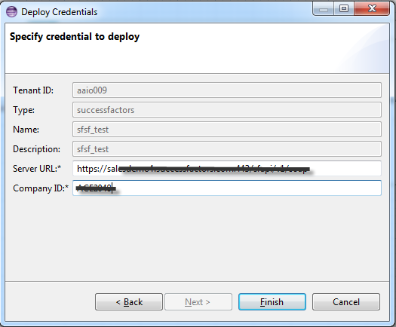 An XSD is generated in the Project package src.main.resources.wsdl automatically. In case of an existing file you also an option to overwrite it. 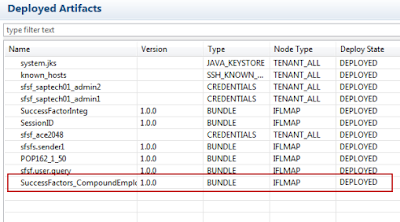 The XSD file would be useful when you would like to map your payload to the data in the required format using the mapping step. In this simplistic example this step has been avoided. In case of the Insert, Upsert, Update operation you can use the XSD file on the RHS (Right Hand Side) of the mapping editor and transform the data that you receive on the LHS (Left Hand Side) before passing it to the SuccessFactors system. The Scheduler Tab is available only when using the SuccessFactors Adapter as a Sender Channel. You can use the Scheduler Tab to schedule the triggering of the iFLow at specified intervals. For this specific example the easiest way to see your paylod output would be to configure an SFTP server as a Receiver Channel. With this you can see the queried payload in your SFTP server. With this you have completed creating and deploying a simple Integration Project that connects to a SuccessFactors system.